KDA Construction has the experience, and knowledge to make all your excavating needs happen. From commercial property development, to the smallest residential backyard job, we have the equipment and personnel to complete your site work. 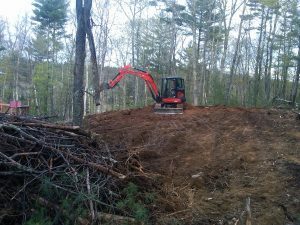 Excavating and Grading Amherst NH services for residential and commercial properties including site clearing, site preparation, house and garage footings, back filling, and land clearing. There are times when the land is sloping or the grading hasn’t been done correctly. If any outdoor feature has to be installed here, the ground would have to be excavated and evened-out, this gives us the leveled land that’s required to build any structure. The work has to be done in a quality manner and this is why it becomes imperative to hire experts that would be able to provide you with custom excavation and grading services. 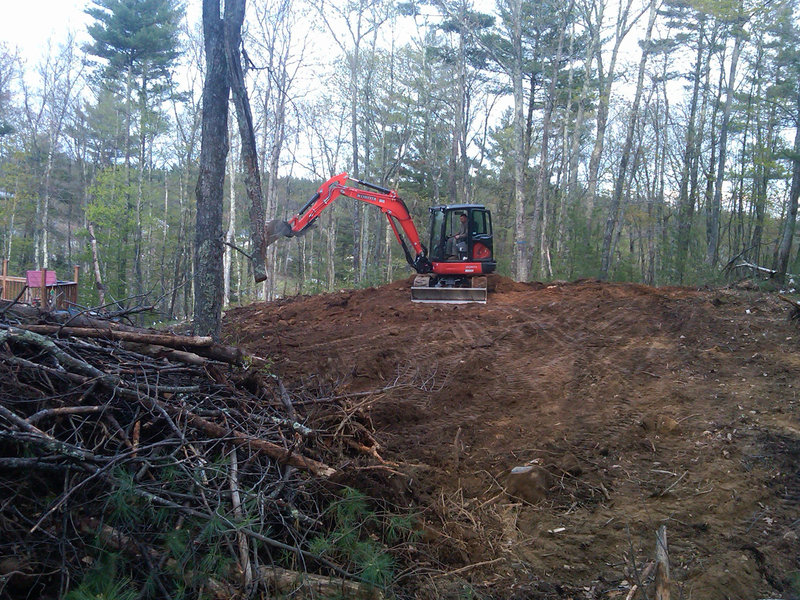 We at KDA Construction provide excellent Excavating Solutions to customers in and around Southern New Hampshire. Over the years, we have handled a number of projects for customers across Amherst NH. As mentioned at the start, all excavation and grading work takes place in the first phase of the project. When you hire us for the job, we will survey the space, understand what kind of installations are required and will then provide solutions that meet your requirements. Excessive grading causes the soil to erode. If the ground is sloping inwards, that can result in water accumulation near the foundation and will damage your home’s structure. We will plan the grading in such a manner that the ground slopes gently towards the outside of your property and directs excessive water, or water runoff towards the city’s main drainage system.